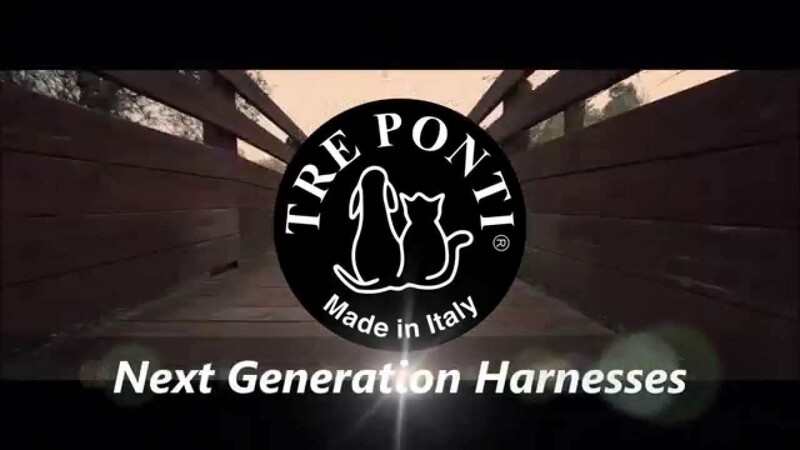 Tre Ponti is a worldwide leading company in the pet product manufacturing; its brand and logo are registered trademark in over 55 countries. Our love and commitment for animals and 40 years’ experience in the textile and seams industry has led us to achieve unique and innovative designs that are patented and distributed worldwide. The quality research is never ending and the development of each product always starts with the final goal of our customer and four-legged friend’s satisfaction. The high quality of our products also depends on the selection and use of the best hypoallergenic fabrics and on a refined artisanal technique mastered by our tailors. All products are designed and fully handmade in Italy. The highly qualified staff pays the maximum attention and dedication to each single seam. Our harnesses undergo strict quality control double checking and testing, that guarantee their high performance and long-lasting-life. “It is better to fail in originality than to succeed in imitation” is the motto that embodies our company philosophy.